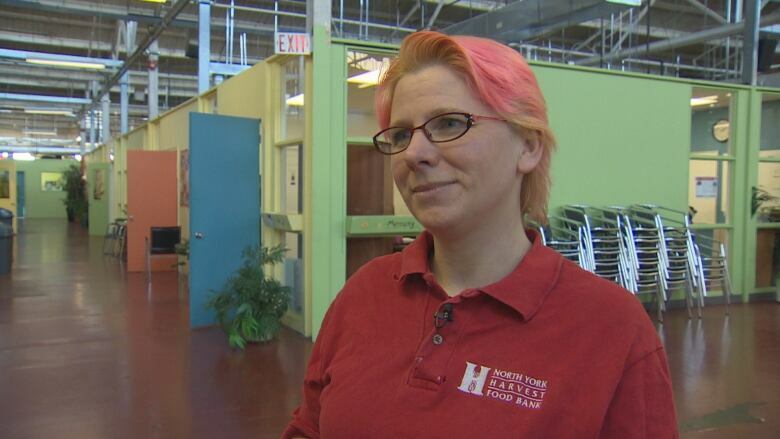 A large industrial warehouse in North York houses several social agencies that have come together to create programs that help people not only find food, but also to find jobs. It might look like nothing more than a large warehouse in an industrial zone in North York, but it's brought several social agencies together in collaborations that are helping pull people out of poverty, including one involving the North York Harvest Food Bank. It's meant that an organization known for taking care of people's immediate need for food also now has a role in trying to fix the larger problem that leads those people there in the first place — poverty related to unemployment. The Learning Enrichment Foundation (LEF) owns the large warehouse at 116 Industry Street near Eglinton Avenue West and Black Creek Drive. The LEF runs several programs there, including a training course for forklift drivers. Several years ago, staff from that agency and the North York Harvest Food Bank, which has space in the same building, started chatting and decided to offer the program together. Rowena Power, director of food distribution for the food bank, points out the large common space in the converted warehouse. Tables and chairs are set up in an open area, surrounded by brightly-coloured walls. "When you have lunch with each other on a daily basis, it sparks conversation and brings about opportunities," Power explained. Changing the forklift driver program seemed to fit the needs for both organizations. The LEF had drivers who needed to learn; the food bank had stacks of boxes that needed to be moved. "So the students that were learning to drive forklifts and just moving empty boxes around could actually start moving our products around," said Power. Tammy Fuller was one of those new drivers. Money was always tight in her household and every month she used to visit a food bank, a common story for people who go through the training program. She was initially hesitant to enrol in the program, as a woman in a job dominated by men, and as someone who'd been out of the workforce for years. 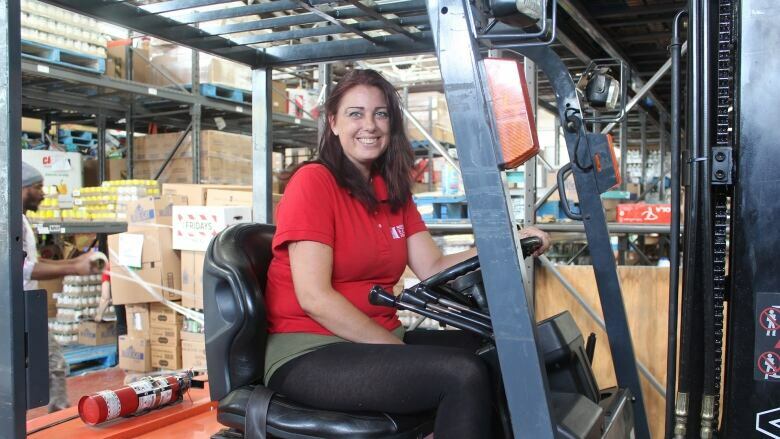 Fuller had stayed at home to take care of her three children, including one with special needs, who were shocked to hear she might become a forklift driver. But once she graduated, her three teenagers were thrilled. "They were so happy," she smiles. "I wasn't the only one crying. My kids were crying, they were so excited." She excelled in the course and didn't only finish school, but also immediately got a job at the same place she trained, the North York Harvest Food Bank. Fuller still can't believe that the two organizations combined to provide this program . "It kind of blows my mind knowing that this goes together," she said. Fuller now helps train other students in the forklift driver program, a course which lasts three months and also teaches other aspects of the shipping process. She says her life has changed. "Now I'm someone who's actually helping people, so I'm giving the food now." Lorenda reports on national and international news, as well as local stories based in Toronto. She grew up in small-town Saskatchewan and spent three years reporting from Guatemala.